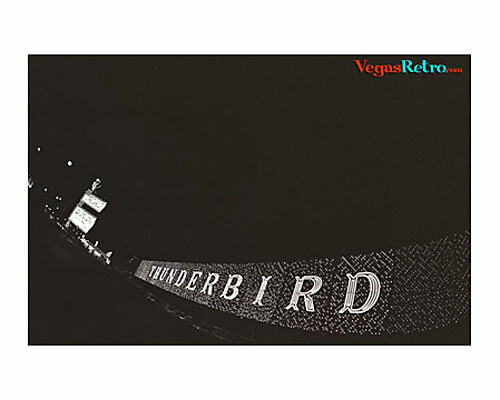 The Thunderbird Hotel opened in September 1948, across and slightly south of El Rancho Vegas. The name came from the Navajo legend of the Thunderbird, known as "The Sacred Bearer of Happiness Unlimited". Quite a promise for a hotel and gaming emporium in the desert. One of the old classics, the T-bird featured Minsky's Burlesque show in the late 60's and Joes Oyster Bar which was a locals favorite hang out. In 1977 it became the Silverbird Hotel and then the El Rancho in 1981......and was never the same.